Investor confidence has fallen to its lowest level in more than two years after the volatile end to last year, which knocked markets lower. ASB's investor confidence survey showed net confidence, the difference between those picking better returns and those expecting worse, nearly halved in the December quarter to 10 percent. "It would be impossible for confidence to do anything but fall when we think about all the changes and uncertainties we had to deal with late last year," ASB senior wealth economist Chris Tennent-Brown said. "Sharemarkets both here and in the US peaked in September, but since then we've had a solid three months of negative news, and that's showed up everywhere from the world's sharemarkets declining through to KiwiSaver balances." The family home remained the favoured investment choice with a record 24 percent of those surveyed considering it the best option for good returns. Investment properties were a distant second as a preferred investment option at 14 percent. Mr Tennent-Brown said the changing environment with tax, prices, and foreign investment rules were affecting sentiment. He said stock market volatility at the end of last year looked to have taken a toll on confidence in shares and investment schemes such as KiwiSaver, but investors should look through the short term headlines and take a long term view of their investments. "When markets are volatile, it's not always a great time to change well-planned investment strategies. We've seen evidence of this in January, when sharemarkets have bounced back quite strongly," he said. Mr Tennent-Brown told Morning Report the survey doesn't show what next is going to happen in the markets but is an indication of how people feel. "It shows that investors have got rattled by a couple of pretty big deals." He said a lot of the changes for property investors are chipping away at confidence. People who are surveyed included people who see their own home as an investment and those who invest in KiwiSaver. 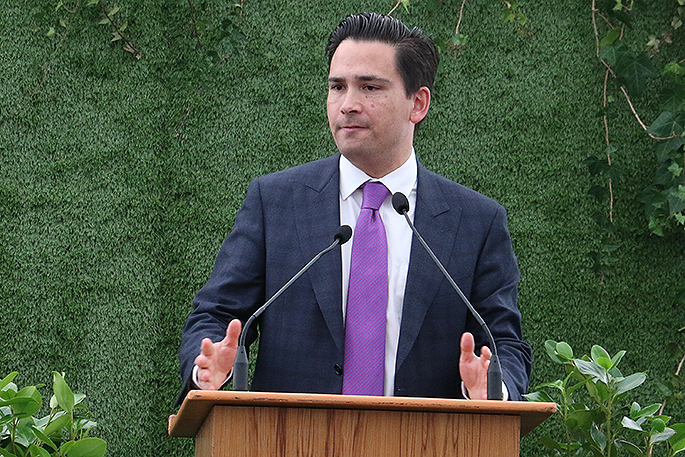 Simon Bridges told Morning Report the government's public policy choices could have a "somewhat recessionary effect". "What I mean by that, in terms of confidence, investment attentions, they come at precisely the wrong time for our economy, for New Zealanders. "I see key government decision points again hurting the economy and growth at precisely the wrong time, the capital gains tax, the fair pay work and I'd also highlight the Reserve Bank's capital increases and that consultation is being things that could all have very negative effects, as I say, at the wrong time for the economy."